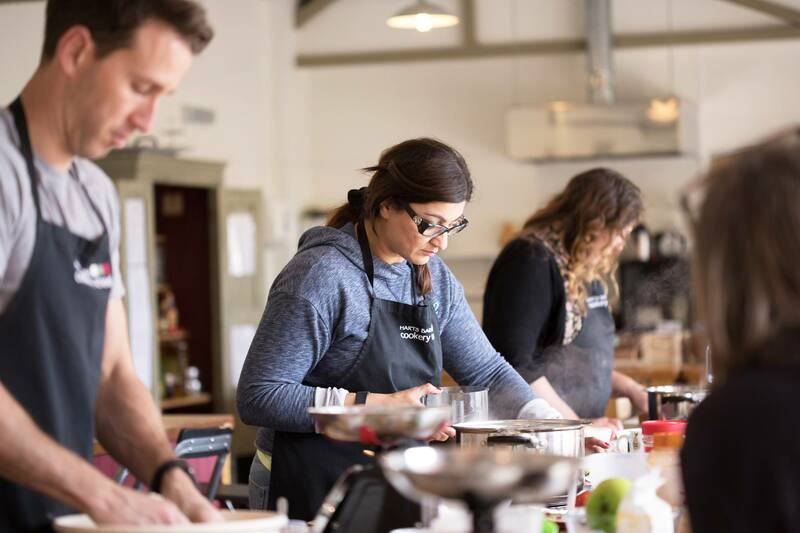 Choose from a range of hands-on Indian cookery classes and get to grips with the flavours of India, at a specially designed cookery school in rural Gloucestershire. Do you want to master the art of cooking Indian cuisine? Gone are the days of ordering in, with these Indian cookery classes you will learn how to make authentic Indian food that will impress your friends, and rival that of a take away. And with four classes to choose from, you’re sure to find a class that will tantalise your taste buds. Once you have arrived at the centre you will be introduced to your expert chef Versha Patel, whom will introduce you to a variety of spices, teaching you the tricks of the trade when it comes to cooking authentic Indian food. You will also be shown traditional cooking techniques that have been passed down over the years, equipping you with the knowledge and skills to create some divine dishes for yourself. After the demo's it's time to get those overalls on and set about recreating the dishes. Whether you have little experience in the kitchen, or you're a professional chef this experience can be enjoyed by all, with your expert chef on hand to help as and when you need it, you will go home with new recipes to try out for your friends and family, as well as a full belly! This is a fun hands on experience, so if you're looking for a fantastic foodie gift for that someone special, or you want to brush up on your own cooking skills and love Indian food then this couldn't be a better experience! You'll even get to take the recipes home so you can make the dishes time and time again for all your friends and family! 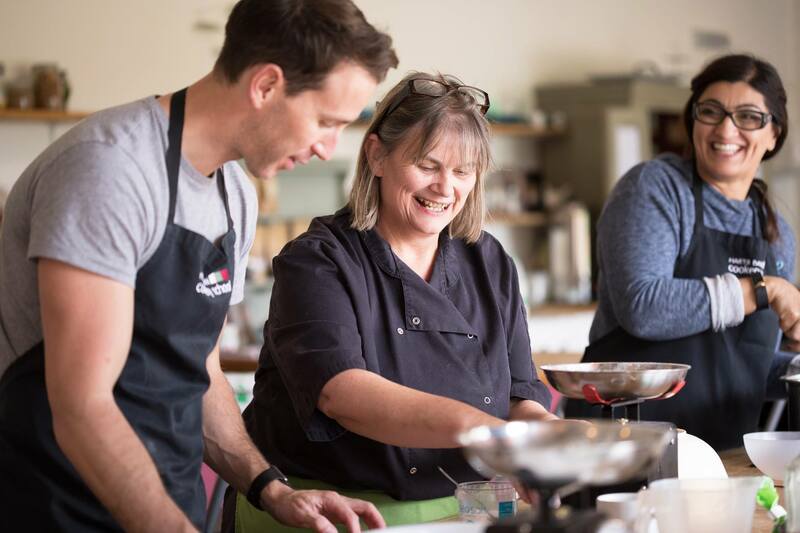 This experience allows you to choose one of the cookery classes outlined below - each has limited availability on different dates throughout the year. Please check availability for a specific date, with our customer service team. There are no age limits on the Indian Cookery Class - as long as you have an interest in cooking and are responsible with kitchen equipment, you will be fine. Under 16's must be accompanied by an adult taking part in the class. These Indian cookery classes will last approximately 2 & half to 3 hours. Participants: The Indian Cookery Class in Gloucestershire is for 1 participant. This Indian cooking class is not suitable for spectators. Please dress comfortably for your cooking lesson - all ingredients and equipment will be provided by the school, on the day. The Indian Cookery lessons will be held indoors, in a specially designed cookery school, so will not be affected by adverse weather conditions. Have you ever wanted to find out more about a business before purchasing one of their fabulous experiences? 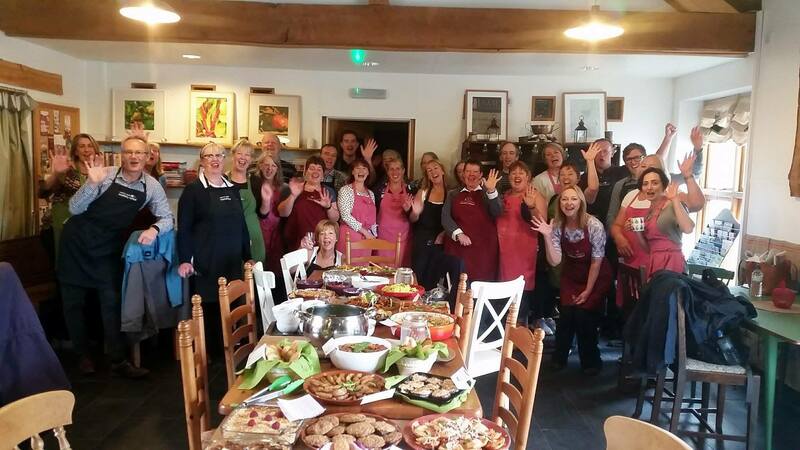 Well, here is your chance to learn a little bit about the brilliant Harts Barn Cookery School, through reading their Expert Interview! 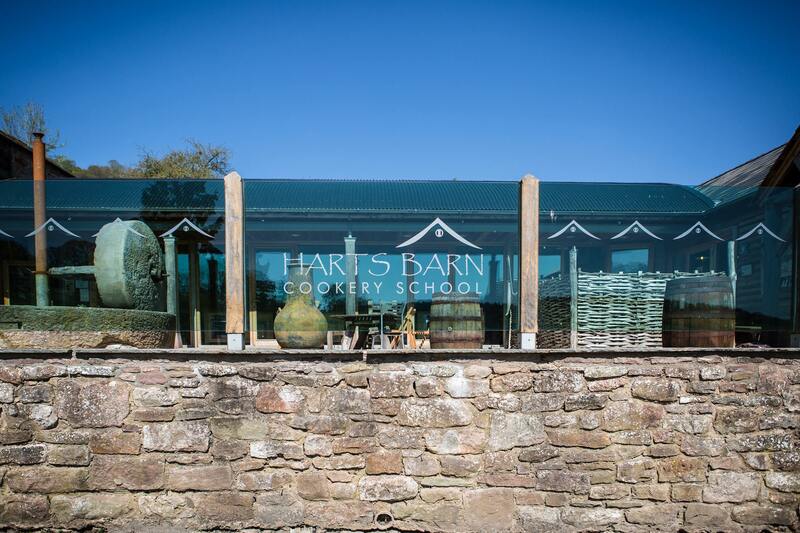 1.How did Harts Barn Cookery School begin? I have always loved food and gardening from a very young age. I began my career in Horticulture and spent 20 years working in the corporate environment mainly in sales and training, but I loved being in the kitchen, food shops and restaurants. When I left the corporate environment to have my baby I then had the opportunity to follow my other love: ‘food’! I have owned an award-winning organic food shop, deli, café, and a crew catering business providing a 24hr food service to crews at festivals. In between festivals I was teaching cookery to people in the community. I then realised that I finally wanted to have a kitchen that stayed in one place and combine cooking with teaching, and Harts Barn Cookery School was born. 2. Where did the passion to cook delicious food come from? My passion for cooking began when I was 3 living on a farm with my parents. We had access to Jersey cow milk, fresh produce from a kitchen garden and plenty of foraged food from woodlands and hedgerows around the house. My father grew a lot of our food and we always had access to local producers. I knew from a very early age the difference between super tasty fresh food and bland processed food. My great aunty, May taught me how to prep fresh veg with a good sharp knife. My dad taught me how to grow food and respect the animals we ate. My mother always cooked fresh tasty food with an ability to make do. 3. As a cookery school what sets you aside from potential competition? 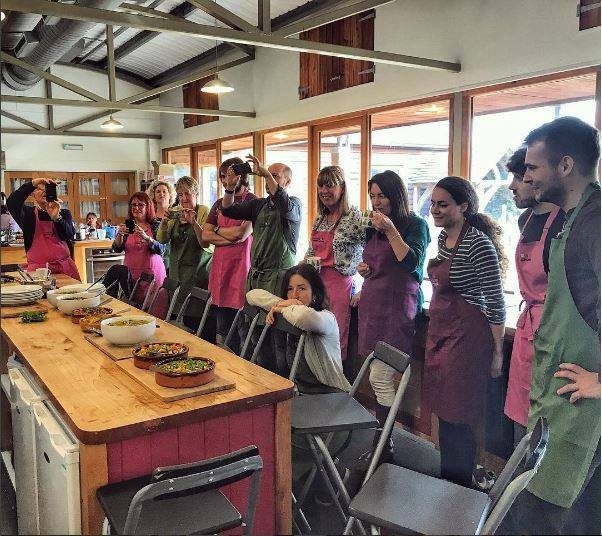 Harts Barn Cookery School is about ‘Simply Cooking for All’. We all have to eat so why not enjoy it and have fun using the freshest ingredients we can. We have a philosophy of eat, drink and be merry! Food is also an important way to bring people together and to socialise. We are all about the cooking experience and the enjoyment it can bring. 4. Do you have a favourite dish that you love creating? Goodness a hard question to answer as there are so many amazing dishes. My favourite dish is one made with great fresh ingredients that can been enjoyed by all! 5. What has been your biggest kitchen disaster? A garlic and fudge pie! I was researching heritage recipes and came across this one and thought it sounded interesting. Wrong. It was disgusting and my class very politely ate it with me knowing they didn’t like it but they were too polite to say so!! 6. 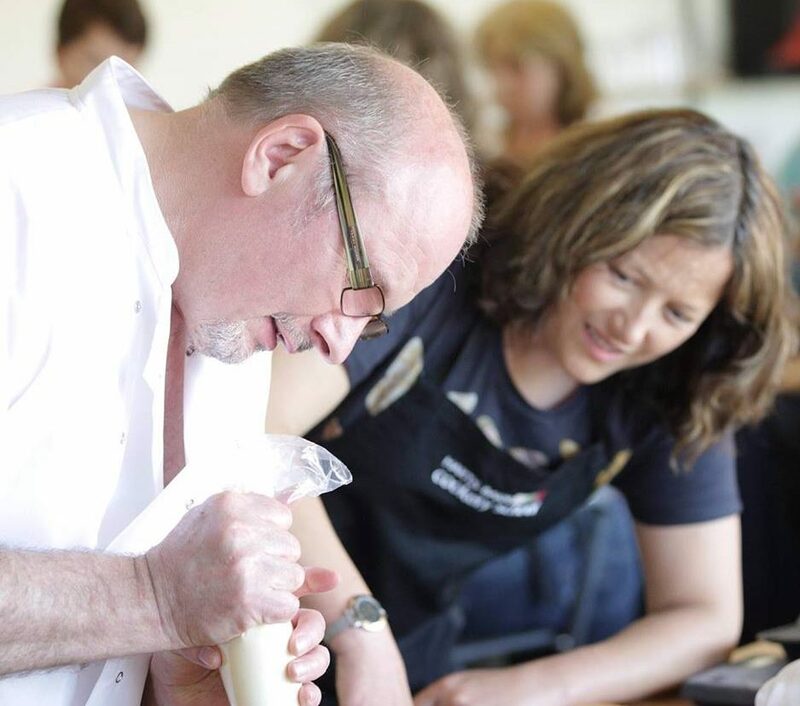 Since the beginning of Harts Barn Cookery School what is the most memorable moment you can think of? It was at the end of 2016 when I was reflecting on the year that I realised we had finally achieved ‘Cooking for All’, teaching people from all areas of life including children, young people, people with learning disabilities and so many more. I finally felt that my vision had come to reality. Thank you to Harts Barn Cookery School for this wonderful Expert Interview! Is there an age restriction on the Indian Cookery Class in Gloucestershire? When taking the Indian Cookery Class in Gloucestershire, under 16s would need to be accompanied by a participating adult. Expert Chef Versha Patel takes the Indian cooking classes.